Sony announced today that its streaming service, PlayStation Now, is live on PC, opening up massive portions of the PlayStation catalog to your personal computer. For $19.99/£12.99 a month, PC owners can now stream over 400 PS3 games, including previously console-exclusive titles like God of War III, Uncharted 3: Drake's Deception, and The Last of Us. PS Now is also expanding its library with six more games: Mafia II, Tomb Raider, Sid Meier's Civilization Revolution, Heavy Rain, Borderlands, and the Studio Ghibli-animated Ni No Kuni: Wrath of the White Witch. More games will be added to the service on a monthly basis, such as the multiplayer Gothic adventure Castlevania: Harmony of Despair, which is coming to PS Now just in time for Halloween. Okay, but how do I get it? Apple owners interested in playing some Ratchet & Clank will have to sit tight for now - Sony says it's evaluating putting PS Now on Mac, but has nothing formal to announce at this time. 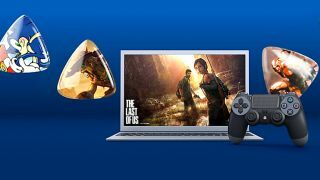 PS Now for PC is currently available in the UK, US, and Canada, with residents of the latter two being offered a special deal of a year's subscription for just $99. Unfortunately, Australian players are left out of the loop entirely for the time being.